ILLEGAL IMMIGRATION THE CONSTANT THREAT - 14th AMENDMENT - ANCHOR BABIES - ACTION REQUIRED! 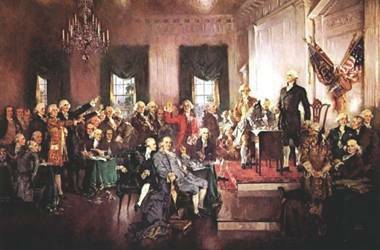 Our Constitution was adopted in 1787 and ratified in 1788 giving the United States of America its foundation of laws and its relationship between the government and its citizens. We have become the greatest power in the world because our founding fathers had the vision to empower the people. The first paragraph says it all. ‘We the people of the United States, in order to form a more perfect Union, establish Justice, insure domestic Tranquility, provide for the common defense, promote the general Welfare and secure the Blessings of Liberty to ourselves and our Posterity, do ordain and establish this Constitution for the United States of America’ summarizes how critical these are to our existence. The dilution of our Constitution has come about by the “good intentions” of our lawmakers who never imagined the end result. Adding to the destruction of our constitution is the exploitation that illegal aliens place on our laws. The mass exodus from Mexico is due to our unintentional permission for them to penetrate our borders illegally. Many of these Illegal aliens come with outstretched arms expecting jobs, medical care and education without any thought of becoming citizens. They chip away at the American Dream by ‘sponging’ on our welfare system. This is the ‘social justice for all’ syndrome we are currently experiencing. 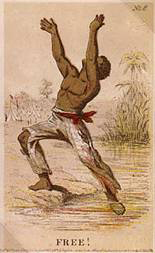 The 14th Amendment was meant for the emancipated slaves born in America allowing citizenship. This amendment has become extremely controversial due to the ‘anchor babies’ being born in America at an alarming rate. Presently Illegal aliens are giving birth to an approximate 60,000 American citizens annually in Texas alone. These ‘anchor babies’ are children born of illegal or non American parents and by the pure fact that they are American born, become citizens. These ‘anchor babies’ are than entitled to everything a natural born or naturalized citizen inherits. It has been argued that children from illegal parents will grow up to be illiterate if we do not educate them making for an illiterate society, therefore they crowd our public schools and receive a free education. The assumption is that these children will assimilate into our American culture and grow to be productive citizens. If we punish an illegal alien under the law then we must also protect him under the law. Either way we pay. Republican lawmakers are thinking of limiting citizenship to babies born to illegal alien parents by deeming that one parent must be an American citizen. So far Senator John Cornyn, Senate Minority Leader Mitch McConnell, House Minority Leader John Boehner, Senators Jon Kyl, Lindsey Graham and a few others have made comments about ‘looking into’ the 14th Amendment. H.R. 5002, the No Sanctuary for Illegals Act and the H.R. 1868, The Birthright Citizenship Act of 2009 have really not picked up any worthy momentum. The SAVE Act and CLEAR Act is said to overturn Judge Susan Bolton’s decision on the Arizona Immigration law. More laws in the books will result in more laws to break by none other than our federal government. What we need are “enforcers” of our laws. We have an administration led by a man not willing and not wanting to understand our predicament because of his thirst for power. Never have we seen such selective enforcement of laws with such gusto. Because of our laws there can be only one solution and that is demanding that the Federal government do its job to secure the border. Our present administration subverts its own laws and condemns states for trying to protect its citizens. We are caught in a dilemma.